Building Permits Zoom is a prominent Rockville Centre, New York business that specializes in research and expediting services in Nassau County.They are a reliable and knowledgeable expeditor in Nassau County, you may want to seek the assistance of whether you are a residential or commercial client. You can receive a complimentary consultation if you are a residential client or free site inspection if you are a commercial client. There are many areas of expertise that Building Permits Zoom is knowledgeable in that make them a great expeditor for Nassau County permits, whether they are residential or commercial building permits. Central air permits, accessory structures, swimming pool permits, generator permits, accessory apartments, senior residence applications, and solar power permits are some types of Commercial Building permits. New house permits, fire sprinkler permits, sign permits, retail, radius maps, land use and historic preservation are just a few residential specialty building permits. The professional Nassau County Expeditors at Building Permits Zoom are experts at expediting Nassau County building permits and are available every day of the week. Their expertise and reliability are invaluable in providing the most attentive and thorough customer service possible to expedite obtaining the proper building permits needed for each construction project. The staff can help clients manage all types of permit needs including zoning projects, variances and major commercial jobs. Potential clients receive discounts, such as Veterans who receive a10 percent discount from Building Permits Zoom in appreciation for this Nation’s Veterans efforts. Building Permits Zoom are Nassau County Expeditors who are currently located on Long Island in Nassau County’s Greater New York City area. They are also opening a new location in Florida in the future. Building Permits Zoom is an expeditor in Nassau County who can get things moving and ensure that you have all of the proper documentation needed such as relative drawings, pictures, blueprints and surveys, which are needed for Nassau County Building permits. If you need any help retrieving any required documentation, we can assist you with obtaining everything you need to expedite your Nassau County Building permit. Our team has years of experience and can get you through your permit project. We can work with your professionals or you can use our experienced team. We can handle any project residential, large commercial, variances, and zoning projects. 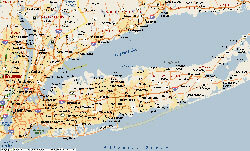 We are based in the NY METRO AREA.